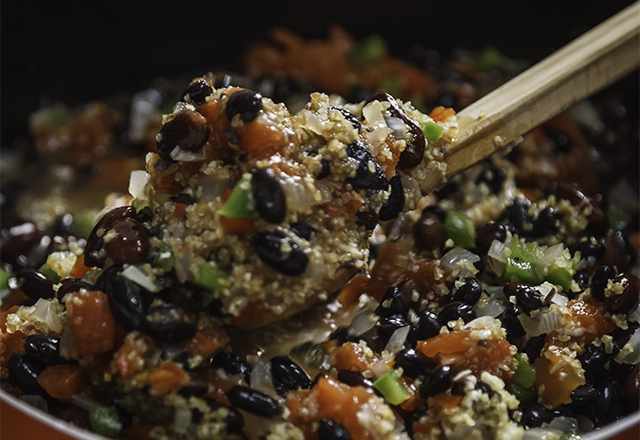 Try this quick, zesty vegetarian chili packed with bell peppers, bulgur wheat, beans, tomatoes and spices. The bulgur wheat looks like ground beef and adds a lot of fiber. As a result, this healthy vegetarian chili looks a lot like traditional chili.